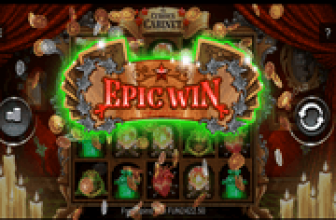 1×2 Gaming is well known for its highly immersive and entertaining games that it offers to players, especially slot machines that come with action packed themes, just like this game right here, Gladiator of Rome. The game, as apparent from its title, invites players to travel back in time to the Ancient Roman Empire for a chance to claim their own share of the fortunes and the glory of the gladiators as they enter the Arena and join the great Roman Gladiators. 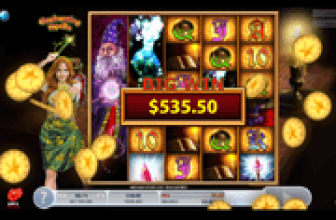 The game does not only offer players an exhilarating and a highly exciting gaming experience, as the video slot machine through its lines and bonus features, can be quite rewarding. The Roman theme that the game tries to convey will be clear for players from the moment they open the game and witness the interface of the game and its visuals. This is because starting from the title of the game that is found at the top, to the visuals and symbols of the slot, they are all inspired by the Ancient Roman Empire and are themed around the brave and glorious gladiators. This is why players will see the great coliseum at the background with gladiators, roman swords, shields, horses, weapons and the Roman Eagle appearing as symbols that would spin on the game’s reels and lines. Speaking of which, the game has a 5 reeled format that hosts a total of 20 win lines that players will be able to place bets on. Controlling the entire game is done with ease through the user-friendly control panel that is located under the reels. Through it, players will start off by placing their bets as they choose how many coins they want to place and their value, as for the number of activated lines, it is always fixed at 20. 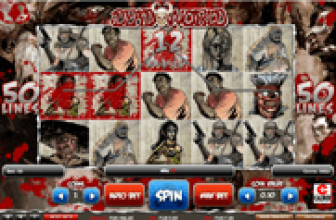 Players will then spin the reels by clicking on the spin button, or they can choose the auto bet function to spin the game automatically with the set bet. The Screaming roman Gladiator is the wild icon of this video slot, which means that whenever this icon lands anywhere on the reels, it is going to substitute for any other normal icons on the lines of the game to help players in claiming a prize. There is also a scatter icon, which is the 2 dueling gladiators. If players get 3 of these on reels 2 and 4, they will trigger the free spins round that come with generous multipliers. Gladiator of Rome is a 5 reeled slot machine that is powered by none other than 1x2 Gaming that takes players back to the Roman Empire as they join a Gladiator and claim their share of the fortunes and the glory. Next Mega Fortune Dreams GBP2.19 Million Progressive Jackpot Won!